I know some people assume that removing your makeup is the same thing a cleansing but it is not at all. Removing your makeup is more like cleaning the skin of makeup, dirt and grime that may have accumulated naturally from the environment. Cleansing the skin is more of nourishing your skin and making it ready for serums, moisturisers, etc or just leaving it to breathe in a clean and clear environment. 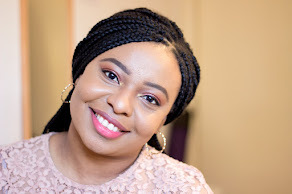 I am not really fussy about my makeup removers as I tend to gravitate towards wipes (as a first makeup remover), micellar waters, cleansing oils or a soft cleansing gel. 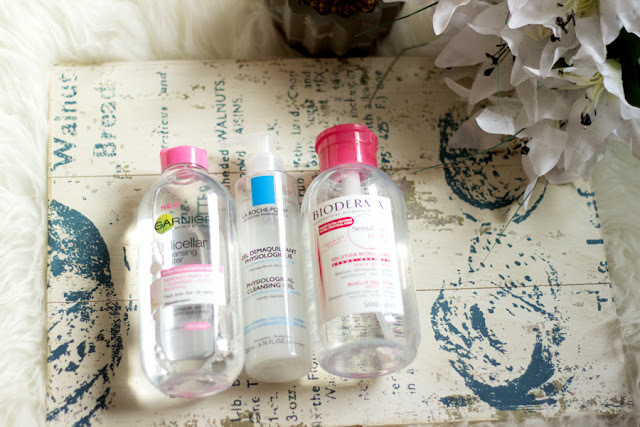 I am currently loving my Garnier Micellar Water (Review//Link) and Bioderma Micellar Water (Review//Link). I use my Garnier more often because it is cheaper and easier to find although it dries out my skin ever so slightly. 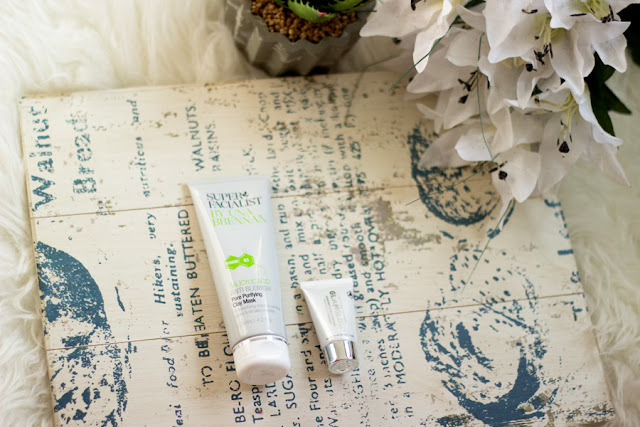 I reach for Bioderma when I need to take off my eye makeup and I just prefer something less drying and more powerful. Other times, I reach for La Roche Posay Physiological Cleansing Gel* (Review//Link)which I absolutely adore because it is so gentle and removes my makeup much better than micellar waters or wipes. If you have Acne prone skin, it is always best to use a makeup remover that is gentle but effective so you don't have to physically manipulate the skin to get makeup off. When it comes to cleansers, I am a little fussy as i look out for ingredients that I know will help with my Acne. 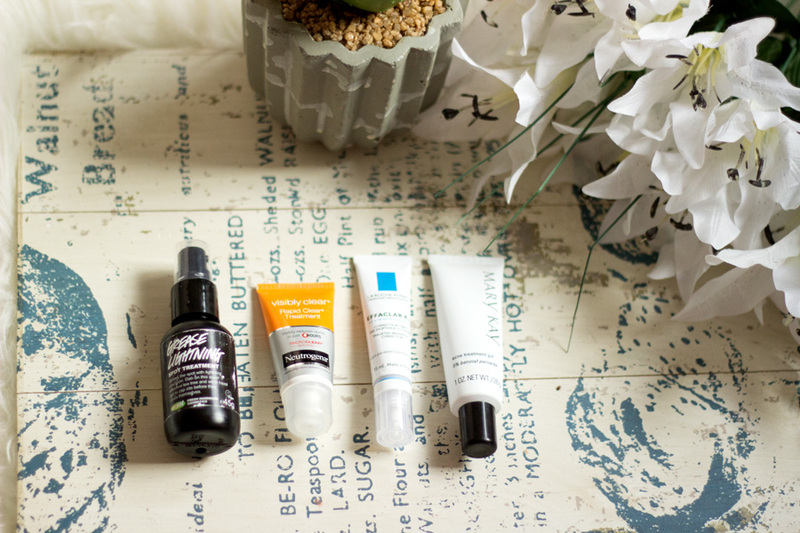 I have tried a few active ingredients and I now understand what works for my skin. Salicylic Acid (Beta Hydroxy Acid-BHA) is one of my best friends because it really helps to keep my pores clear and prevents de congestion which sometimes lead to acne. Salicylic Acid works right into the pores and you can feel its effect almost immediately. 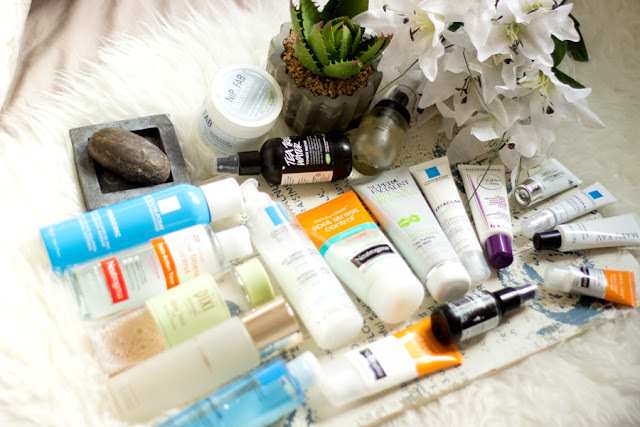 Another active ingredient I love is Glycolic acid (Alpha Hydroxy Acid-AHA) which is amazing at keeping the skin clear, decongesting pores and encouraging cell turn over. This means any damaged skin or irritated skin gets better in a shorter time. There are a bunch of other ingredients like Benzoyl Peroxide, Lactic Acid, Vitamin C, etc which all help with Acne and Hyper Pigmentation. 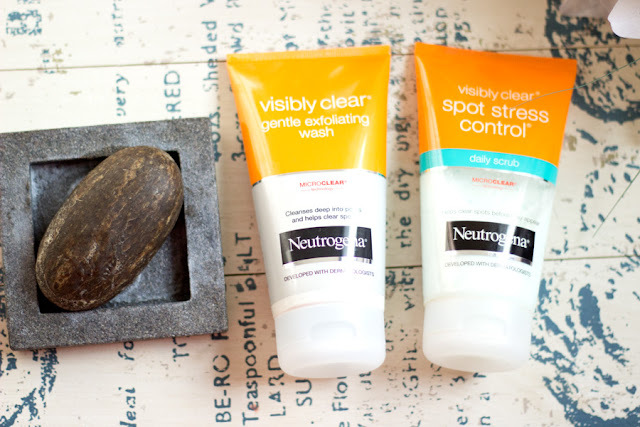 My favourite cleansers are the Dudu Osun African Black Soap (Review//Link), Neutrogena Visibly Clear Gentle Exfoliating Wash (Review//Link)and Neutrogena Visibly Clear Spot Stress Control. 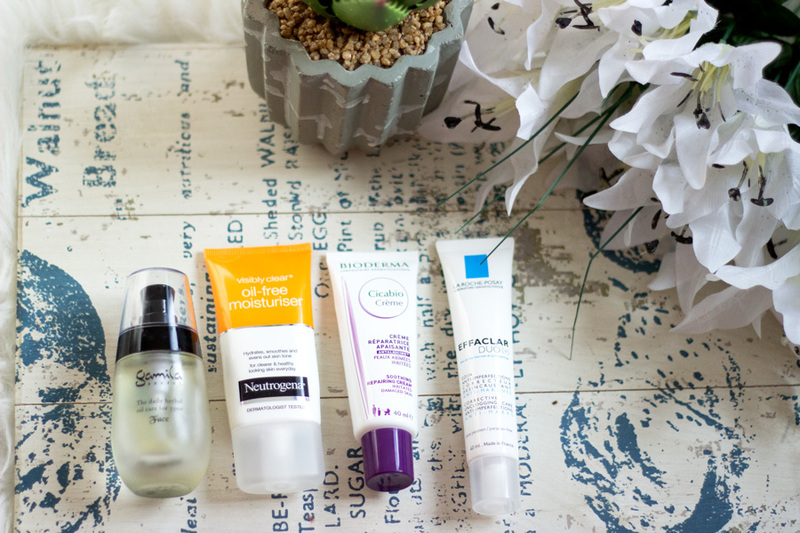 I use them interchangeably and they have done wonders for my skin. They both contain the above named ingredients as well as other ingredients. The Dudu Osun African Black Soap is definitely the biggest game changer for me. It really helped my skin get rid of active acne and it is currently helping with my hyper pigmentation. It can sting the skin when you start using using it at first as a result of the Lemon and Lime which it contains amongst other ingredients but the sting is a small price to pay for the results. It leaves my skin squeaky clean and slightly dry but I always mitigate that with my toner and serums later. The Neutrogena lot are mainly gentle exfoliators for me and they are non-abrasive because that's the last thing you want when you have acne. I feel it is okay to use scrubs every now and then depending on your skin and I use these Neutrogena Scrubs/Washes everyday because they are suitable for my skin. They are also designed as everyday cleansers although you may choose to use them as weekly exfoliators. 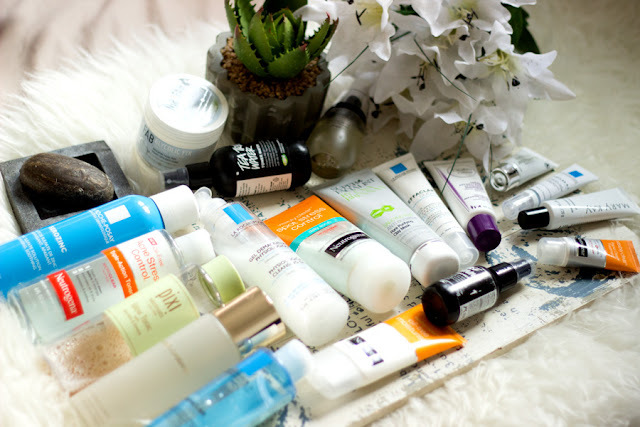 Toners are definitely one step I never miss because I love the way they make my skin feel. 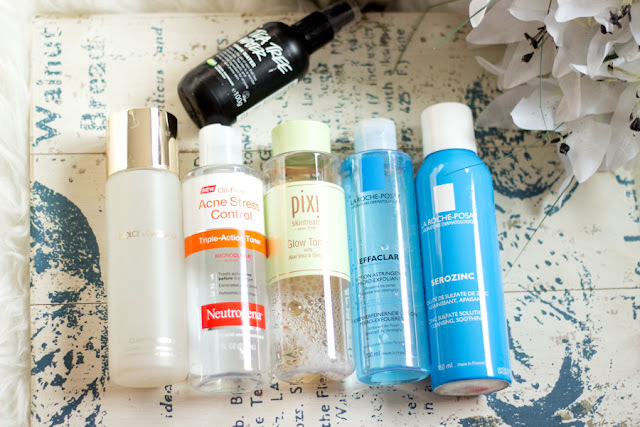 I tend to stick to one toner for a period depending on how my skin feels. When my skin is playing up, I reach for my La Roche Posay Micro Exfoliant Astringent Lotion (Review//Link)because it contains Salicylic Acid which you all know I love. It helps decongest my pores and I feel that may skin feels so much more cleaner when I use it. It stings just a little depending on how rough my skin feels but it is nothing compared to the Neutrogena Spot Stress Control Toner. This toner is very effective but it does feel a little harsh so if you have sensitive skin, you may want to skip this toner. It is actually more effective than the La Roche Posay toner but it contains alcohol which I guess makes it more drying. I still reach for it when I really need any spots to go away as soon as possible. One tip I have learnt is to go in with a cotton pad soaked with water to add the moisture back to my skin and neutralise any unwanted alcohol/drying effects. Another toner which I absolutely love is the Pixi Glow Tonic (Review//Link) which contains Glycolic Acid, Ginseng, Aloe, etc. I am totally obsessed with it because it actually helps clear spots and any hyper pigmentation that may follow. It feels really gentle and it is one of my favourite toners although it is a more expensive than the other toners in my stash. If you have very sensitive skin and you don’t want to try any of the above, then you can opt for something more natural. The Lush Tea Tree Toner (Review //Link) has always been a staple in my stash as it is effective and portable so easy to travel with. Tea Tree is very effective in helping clear spots and has anti-bacterial properties. I really enjoy using this especially when I am just trying to give my skin a break but I still need something that works well. Another toner in my stash is one I never thought will be effective but it is the Dolce and Gabbanna Clarifying Toner/Lotion (Review//Link) which I absolutely love because it contains Salicylic Acid and Lactic Acid. 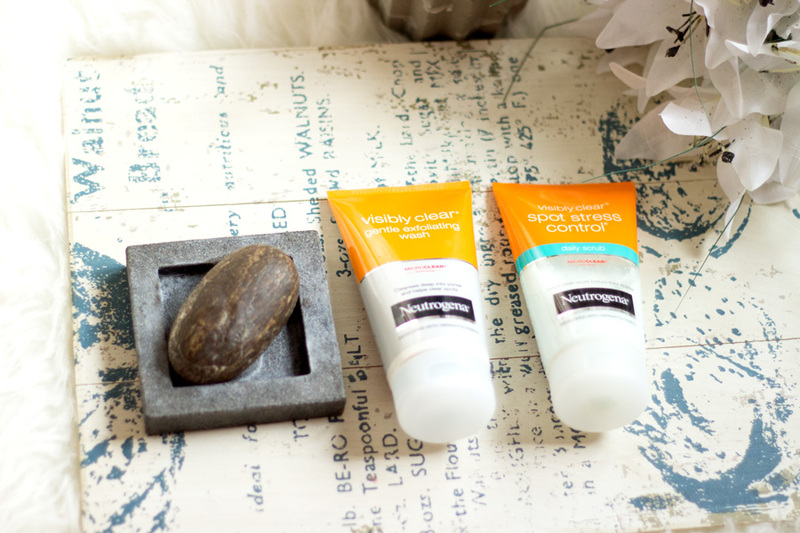 These two combinations work together to keep spots away and the skin generally clear. I love the fact that it feels so gentle that you may even think it’s not working but it definitely is. The only downside is it contains a fragrance which is pleasant to me but I guess many people react to fragrance. 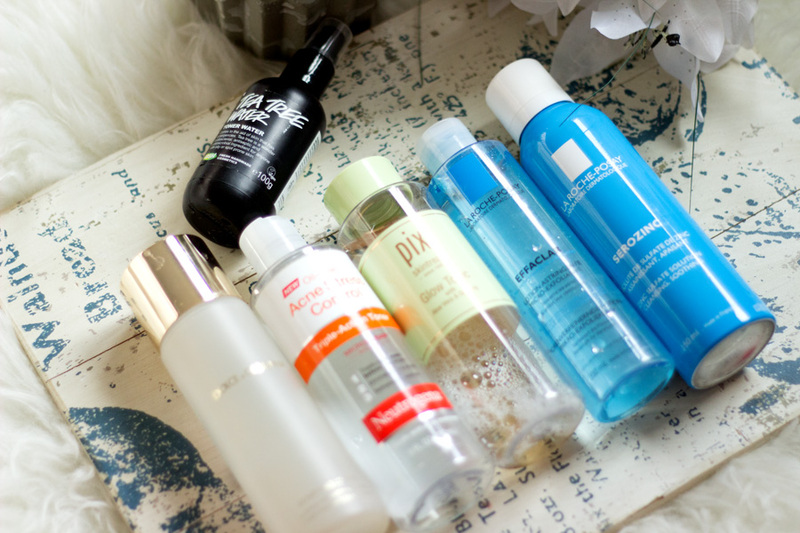 The last toner but not the least is the La Roche Posay Serozinc (Review//Link) which is seriously amazing for blemishes especially when it comes to reducing their appearance. It comes in a can and sprays out very evenly which is why I love it. It actually helps keep my skin matte and it feels very refreshing as well.. 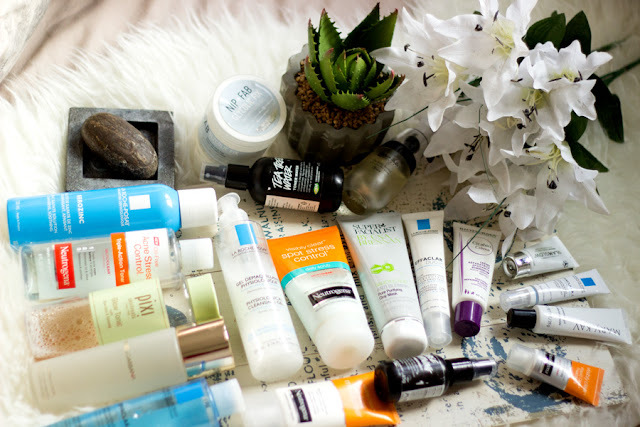 When it comes to moisturisers or lotions, I am not very fussy but I tend to reach for products with the right ingredients and right moisture to suit my skin type. 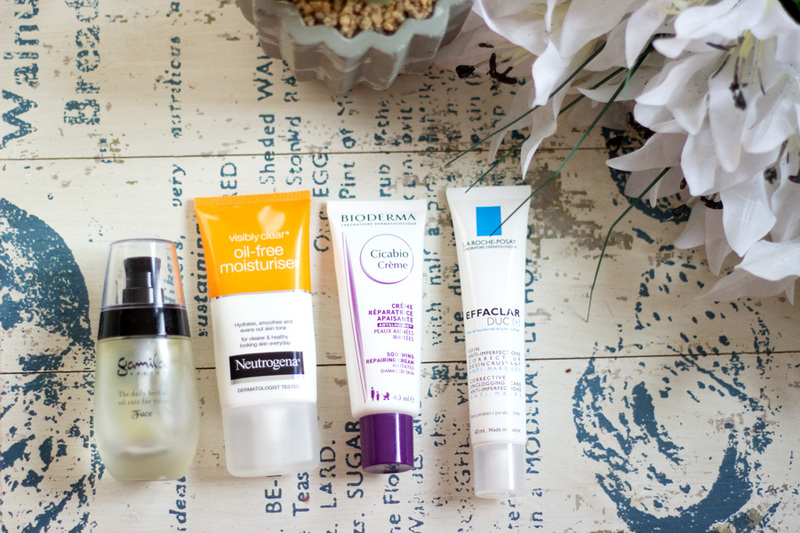 Most times, I opt for oil-free moisturisers because I have combination-oily skin as mentioned earlier. My favourite moisturiser is the Neutrogena Visibly Clear Oil Free Moisturiser (Review//Link) because it contains salicylic acid, chamomile and aloe and these ingredients work together to keep the skin clear and calm. It is really lightweight and absorbs ever so easily into the skin. I have used it for almost two years now and I always repurchase it as it is very affordable. Another product I love for my acne is the La Roche Posay Effaclar Duo* (Review//Link)which is a serum/moisturiser hybrid. I don’t exactly know how to classify it but I just love using it. It really helps keep my pores clear and it helps calm any breakouts I may have. It is also effective in preventing any scarring or hyper pigmentation provided they are new ones as I don’t think it is very effective with old ones. I just can’t be without it and I always repurchase it every time Boots or Escentual have offers. If you are into oils, you would definitely love the Gamila Secret Face Oil (Review//Link) which I absolutely love. I am not sure about all the ingredients it contains but it definitely has Rose Hip Oil which is effective at keeping the skin clear and helping fade any hyper pigmentation. It is very pricey but it is one of the most effective oils I have tried. It was very instrumental with helping my skin stay clear and it absorbs so easily so don’t be afraid to use it even if you have oily skin. I find that using oils help my skin feel less oily with less breakouts but I guess it depends on the quality and type of oil used. Not all oils were created equal at all so you have to be mindful of the source and type of oil. Last product in this category is my Bioderma Cicabio Soothing Repair Cream. It is one product that I am really impressed with as it helps sooth and calm my skin down especially when I have red raging spots. It contains Zinc Oxide which is very effective for repairing/soothing damaged skin so if you are a spot picker, you really want to try this product. I once had a full arsenal of spot treatments when I used to break out like crazy; thankfully I don't break out as much any more. When you have spots, you just want something that promises to work fast. I know the feeling and the good thing is quite a few products are actually so effective that you can see results overnight. One of my all time favourite spot treatments which I have repurchased countless times is the La Roche Posay Effaclar A.I. Targeted Breakout Corrector* (Review//Link). It’s just simply amazing and it contains Benzoyl Peroxide which seeps right into the pores and destroys any germs causing the spot. I just love this product so much and I rely on it to half (or most times completely remove) any unsightly spot that graces my face especially before a big event. It has never let me down and I apply it directly on the spot after I cleanse my face thoroughly. 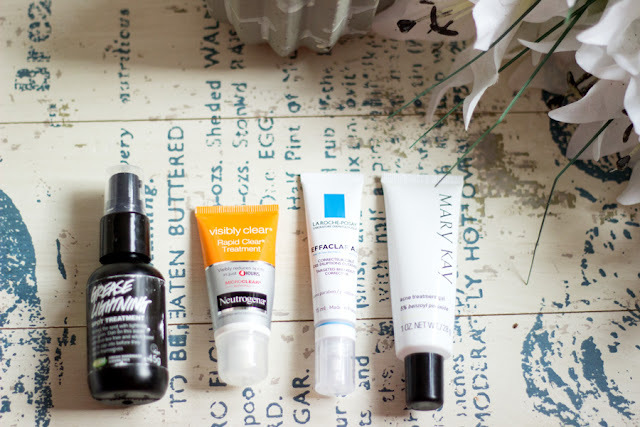 Another product which I love is the Mary Kay Acne Treatment Gel (Review//Link)which is simply amazing. It also contains 5% Benzoyl Peroxide so it is equally effective as the La Roche Posay version but I think the LA Roche Posay contains some other ingredient that increases its efficacy. If you have sensitive skin and you prefer natural ingredients, the Lush Grease Lightning Spot Treatment (Review//Link)is a really good alternative as it contains Tea Tree which is very effective for spots but I find that the Grease Lightning is not as effective as the Mary Kay or La Roche Posay. I just recently tried the Neutrogena Rapid Clear Spot Treatment which is an okay spot treatment but I am not sure it works within four hours. It does help with redness but I would say it clears a spot within two days for me. The only masks I have tried that are specifically for Acne prone skin are the Una Breenan Salicylic Acid Clay Mask and the Glam Glow Mud Mask. 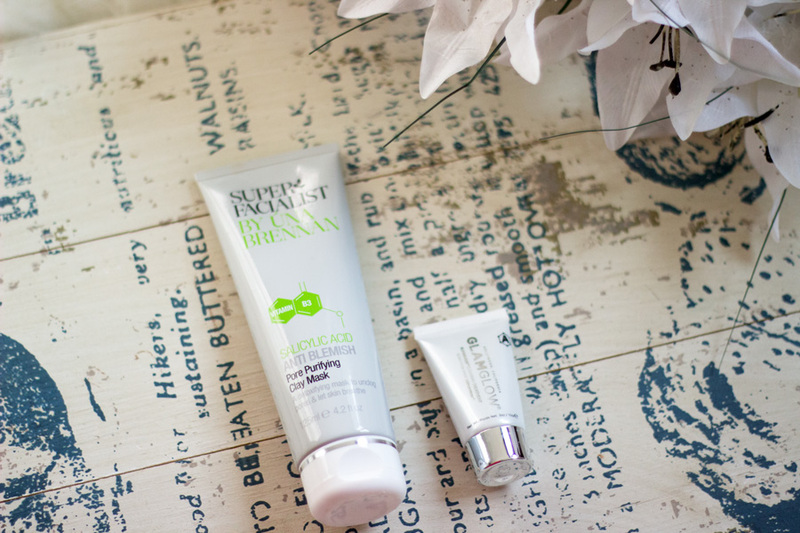 I love both masks although they are very different to each other in price, results and uses. The Una Breenan Salicylic Acid Pore Purifying Clay Mask (Review//Link)is my go-to mask which I reach for whenever my skin is massively playing up and I need to properly decongest my skin. I apply this after I have cleansed my skin and leave it for 30 minutes because I want to get the full effects. It feels slightly stingy especially if you have any active spots or under the skin spots but it works so beautifully well. The mixture of Clay, Aloe, Salicylic acid and other ingredients all work in the best synergistic way to keep my skin clear. You will definitely notice a difference in the appearance of your skin and the spots. It is an amazing staple and I tend to use it at least once a week. The newest mask I tried is the Glam Glow Mud Mask which is one of the most popular masks out there and I absolutely believe the hype. This is only a sample size but I got three uses from it because you only need a thin layer. It works deep into the pores to clear any impurities from the skin and it also works on blackheads which are sometimes difficult to get rid of. You can see it actually working on the skin once it dries up and an immediate effect when you wash it off. It feels slightly tightening on the skin when it is drying but I don’t mind because it leaves my skin super soft and most of my spots look less angry. I am definitely going to invest in the full size. 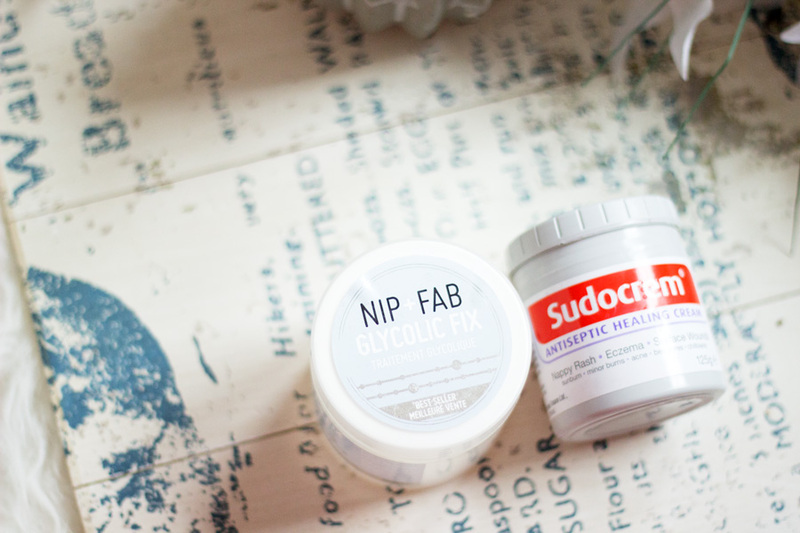 I decided to include my Nip+Fab Glycolic Fix Pads (Review//Link) which are amazing. They contain glycolic acid which helps with spots and keeps the skin clear but it does not feel harsh at all. I absolutely love using it although I think it is slightly expensive. I use it as a toner because it is effective and feels refreshing on my skin. 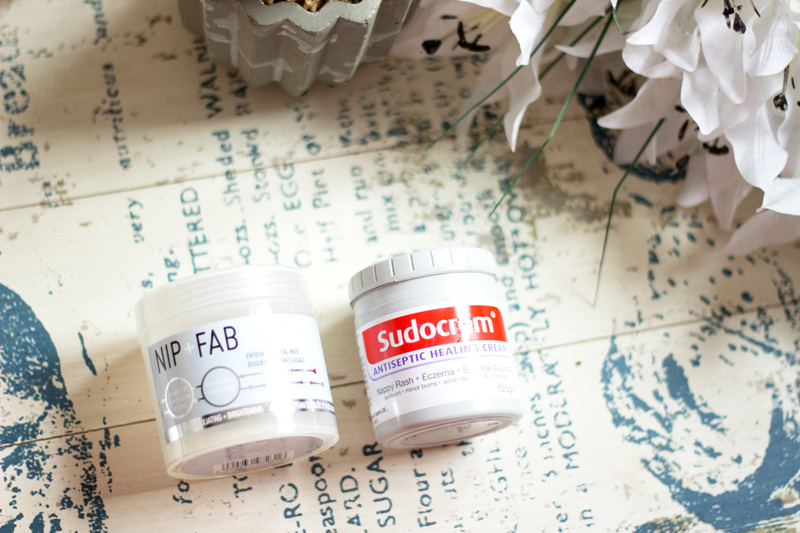 Another product which is a controversial one for spots is Sudocrem Antiseptic Healing Cream. I only started using it recently and I love it because it actually helps dry out my spots. I know it is a nappy rash cream and many people say using it for acne is not the best for the skin but I have not had a problem with it. The jar indicates that it can be used for Acne and it is a very affordable way to help with spots. I only use it directly on the spots and it is gone/ dried out the next morning. It feels very thick so it is always best to use a light layer. I am aware this is a very long post but I wanted to write it anyway and I hope it is useful to some people. I don’t use all these products at the same time as I only choose depending on how my skin feels and the efficacy of the product. I have to emphasise that it’s not really about the product but more about the active ingredients it contains. 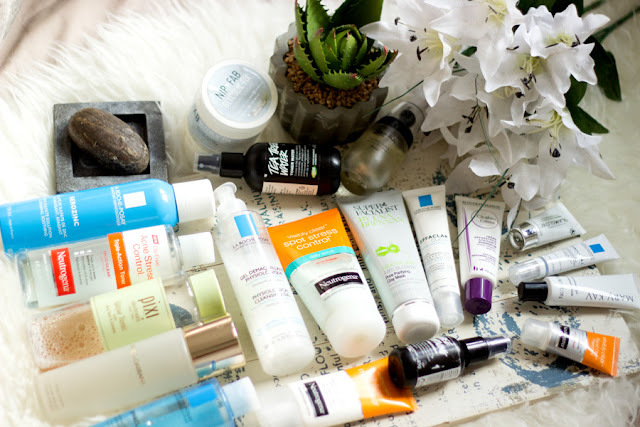 I find that active ingredients like Salicylic Acid, Glycolic Acid, Benzoyl Peroxide, Lactic Acid, Tea Tree Oil, Rosehip Oil, Aloe, Chamomile, Clay/Mud, etc are all amazing for acne prone skin. What makes one product stand out from the other is how these ingredients are formulated in the final product for best use. I always look out for active ingredients That’s it folks! 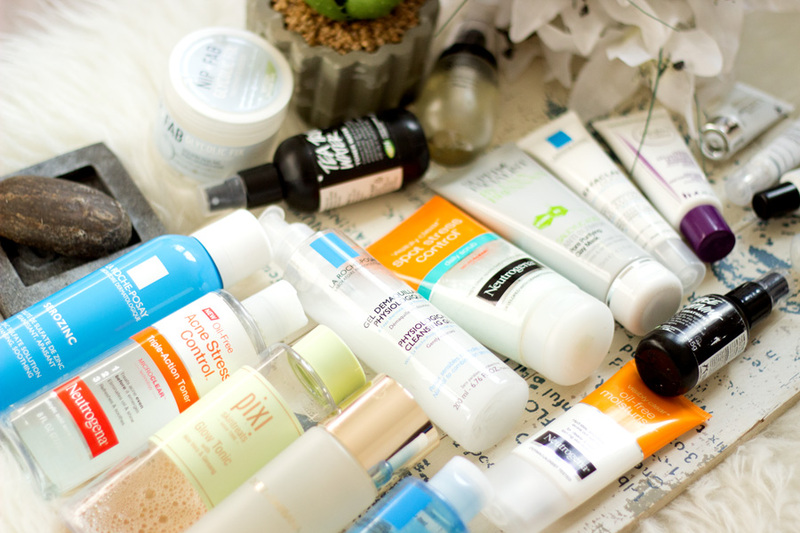 What are your favourite Acne Skincare Products?